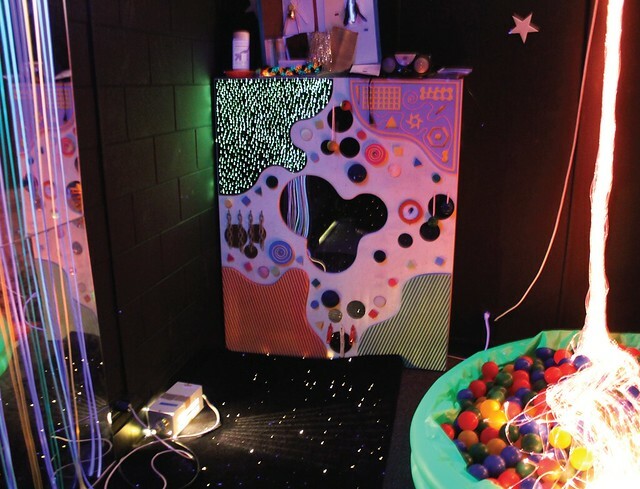 A sensory deprivation room is used by therapists to calm children with developmental disabilities when they are first meeting them. Easter Seals Southwest Florida is a second home for children, youth and adults with developmental disabilities. The Braden Avenue campus and New College have one thing in common: both stretch to the bay. But while a new building and an expansion are evident at New College, the Easter Seals campus is well-weathered and in sore need of some updates. “I wish that our facilities could be bigger, brighter and shinier,” said Dr. Kameron Hodgens, Vice President of Programs and Services for the local branch of this nationally acclaimed non-profit. There are 120 adults with developmental disabilities at Easter Seals, in addition to the campus’ infant, child and teenage clients. The state of Florida’s Medicaid Waiver program recognizes six conditions that fall under the umbrella term of Developmental Disability including Prader-Willi syndrome, cerebral palsy, Down syndrome, autism, spina bifada and intellectual disability. Easters Seals opened in 1946 as Happiness House and served children effected by the polio epidemic. In 1984, Happiness House became affiliated with Easter Seals and maintains a partnership with the national organization, which was established in 1907. The main building — a cinderblock structure that is a reminder of old Florida — houses adult and teen services. Plumbing is outdated and 36 separate air-conditioner units sweat onto the building’s flat roof. Hodgens estimates that the campus needs $10 million to construct new program buildings — money that Easter Seals does not have. Clients come from all community backgrounds. At the Easter Seals Prom, Ms. Wheelchair Florida, Laura Lee Minutello gave Applequist the title of Ms. Inspiration. 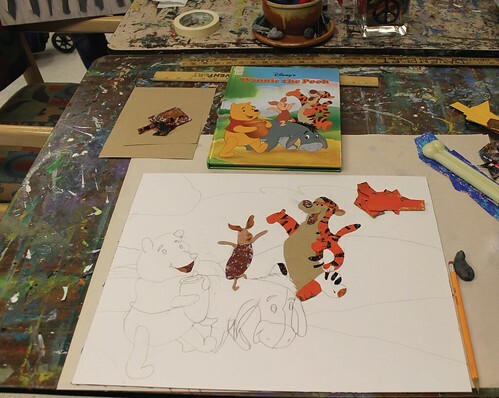 A client with autism is creating a Winnie the Pooh inspired collage out of various patterned papers. Hodgens reflected that people who have developmental disabilities don’t receive enough state funding for physical therapy, medical bills and care provision. She said that Easter Seals adult day training (ADT) staff is paid less than $10 an hour from the state’s Medicaid Waiver program to take care of a person who is tube-fed, non-verbal, and requires personal care throughout the day. This money must also cover building costs and supplies. Hodgens believes the non-profit’s mission is part of a “bigger picture” that many don’t understand. “I think we have a responsibility as a culture to take care of people who cannot take care of themselves,” Hodgens said. Despite budgetary limitations, the Sarasota Easter Seals facility prides itself as being a sanctuary for people with developmental disabilities that offers a variety of services and activities. There are slip-and-slide parties and carnivals for the clients. Once a month, the facility offers respite care to give families a break from taking care of their loved ones with developmental disabilities. This service is funded through fundraisers, donations and grant support. The campus also features a garden of produce that includes blueberries, cabbage, collards, basil, pineapples, zucchini, and arugula, serving as kind of a classroom for clients, who learn the value of nutrition and who can experiment with sampling new foods. Adult clients go on field trips to community destinations such as the mall, the beach, baseball games and parks. They also pack groceries at the food bank and deliver Meals On Wheels to homebound seniors. One Easter Seals client, Ashley Applequist, who was born with spina bifida, was a contestant in the 2013 Ms. Wheelchair Florida pageant and is now an active blogger, advocating for the rights of people with physical disabilities. 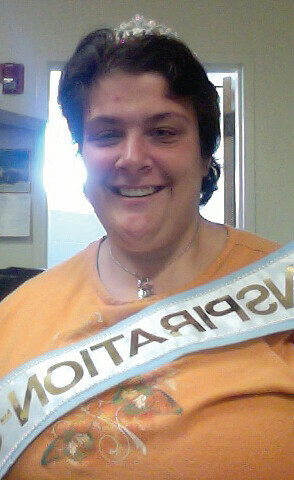 Dr. Hodgens said prior to the competition, Easter Seals staff took her shopping at the mall for a pageant dress. The outing included lunch in the food court. Applequist, who lives on a fixed income, was thrilled when staff sprung for the Coke to go with her pizza. Though Applequist did not win the competition, she was inspired to become an advocate for the rights of people with physical disabilities. She is in her twenties and is working on obtaining her high school equivalency diploma. Applequist came to Easter Seals three years ago, she reflected that the staff at Easter Seals have helped her come out of her depression. “They treasure friendships more than the typical population,” she said. Easter Seals welcomes New College volunteers with open arms — Hodgens reflected that there are many different volunteer opportunities at Easter Seals. Novocollegians could teach clients at Easter Seals skills, such as knitting, how to play the piano, volunteer in the nursery or rock babies to sleep. For more information, contact Dr. Kameron Hodgens at (941) 355-7637 x435 or by email at khodgens@easterseal.org.